Shake the bottle gently to allow the minerals equally disperse throughout the bottle. Wet your pet and apply a generous amount of OdorKlenz Pet Shampoo directly to his coat. Massage your pet’s coat (you can light a candle and diffuse some oil if you’d like). 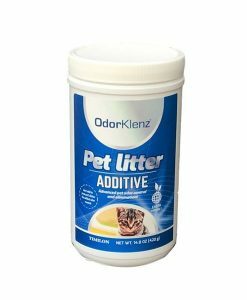 Take care to scrub OdorKlenz Pet Shampoo all over so it can reach every area of possible odor contamination. Avoid direct contact with the eyes (with the product – we find in official surveys that our pets prefer lots of eye contact with you as well as silly kissy noises while taking their baths). Finish by rinsing your pet thoroughly with fresh water and doing that fun shake-off thing! We understand that you want to create a clean, enjoyable environment in your home without compromising the safety of your loved ones with harsh chemicals. Your pet is a loved one, too yet sometimes even your favorite furry friend finds a funk. No judgment, it happens, but when it does you want to give him a thorough scrub that is both effective on that odious smell and safe for the coat you love to cuddle. 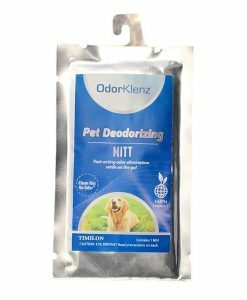 With OdorKlenz Pet Shampoo you have both safety and efficiency! Made with simple, powerful ingredients, our pet shampoo is designed with the best technology to eliminate the worst smells like body odor, wet dog, even skunks! Let Fido put his best paw forward when guests come to visit with a clean, odorless coat they will be happy to pet. Most pet shampoos rely heavily on harmful perfumes and fragrances which merely mask the offensive smells you are trying to erase. This results in the infamous “wet dog smell” and forces you to feel the need to bathe your pet more frequently. OdorKlenz is committed to targeting bad smells at their source while maintaining our priority of safety. You won’t find perfumes or dyes in our simple list of effective ingredients. At OdorKlenz we know that minerals derived straight from Mother Nature will do the job better than those harsh chemicals anyway! 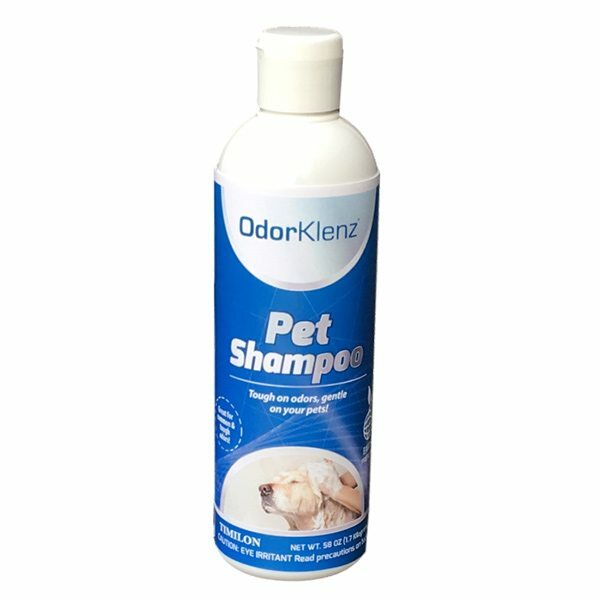 Click here to learn more about how to use the OdorKlenz Pet Shampoo.